EverestingUK: "The Last Few Laps Were Completely Torturous!" From the start of the year completing an Everesting was one of my main objectives to tick off on the bike. I knew if I was to stand a chance of finishing it I would need to train hard and penciled in a July date for an attempt. Giving myself seven months would hopefully elevate my fitness to complete the task. 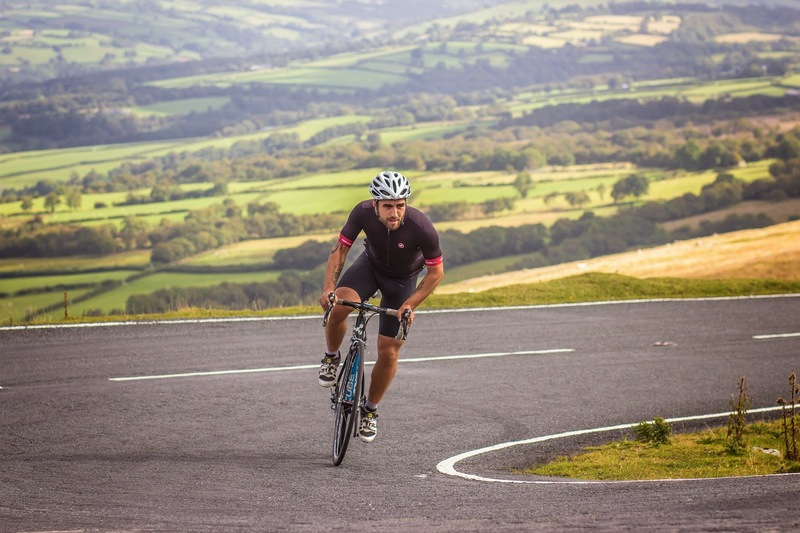 In the run up to that I had taken part in the 5 Dales Sportive and regularly did 100+ mile rides on a Saturday with over 3000 meters of climbing in the Pennines as well as a couple of double centuries with relative ease. At the end of June I completed the C2C2C in a day, which was another of my goals for the year, so I knew I was ready to have a crack at it once that was in the bag. The climb I picked was Lady Park, a hill only a few miles from my house that has been incorporated in many of my previous rides so I knew it well. It is about a 7% gradient and around a mile long, a quiet stretch of road that doesn't have too much traffic. There are 2 steep sections; one at the foot of the climb and one near the end but they don't go on for too long. I felt confident that I would be able to spin up it all day long, with the added bonus of plenty of places to stash my supplies near the bottom. Due to the hill being so close to home, I knew that if for some reason I failed the attempt, I could be home within 20 minutes. A few days before the big day I went along to do a recce of the hill. I did 10 reps and felt pretty good and this gave me a bit of a mental boost. The weather forecast was looking good for the weekend too. The night before I gave the bike a once over and prepped all the food I needed; a box of 24 gels, 6 peanut butter and jam sandwiches, jelly babies, flapjacks, hydration tablets and several big bottles of water to see me through! I got to the foot of the climb at about 5.20am and put my bag in the bushes at the bottom, that would be base camp for the day. I set off and remember the first couple of laps being tough as I struggled to find my rhythm, it also suddenly dawned on me that 70 odd laps was a long way off! Thankfully after about 5 or 6 laps I had warmed up and my heart rate had settled down. I had my Garmin set up with the lap counter, elevation, average lap time and the usual stuff like heart rate and speed. I hoped my lap time would stay around 11 - 12 minutes for one ascent and descent. My first visitor for the day was Shane and he brought me a bacon sandwich! A very welcome treat that was wolfed down in no time. Soon after Darren arrived and he rode with me for a good 2 hours, it was great to have some company while riding. Throughout the day I had quite a few people swing by and do a few laps, Mark ended up staying and doing half the reps with me. It definitely helps keep you sane otherwise your mind tends to wander! I got to the halfway point of 36 laps feeling pretty good, my legs still felt solid and I hadn't suffered any cramps or pain. One thing I had noticed was how bumpy the decent back to start was! There were more than a few pot holes to negotiate on the way down. It was quite a warm day and I was sweating quite a bit so was conscious to keep sipping the electrolyte drinks. You could tell how much salt my body was perspiring due to the colour of my jersey. It started off black, but was completely white by the time I had finished! As the day went on I realised I was going to have to do the last part of the challenge in the dark, having around 20 laps left as the sun started to go down. Lady Park is in quite a rural area with trees either side and no street lights which made visibility difficult, especially with the less than adequate lights I had with me. At this point Lucy, a member of my cycling club, arrived with excellent lights for me to borrow so I could continue my final leg of the ride. This was definitely the hardest part of the ride, not least because my legs started to feel it but also descending in the dark was difficult. Now I know what people mean by the death zone when you pass the 7000 meter mark! It also started to rain and the road was littered with hundreds of little frogs, yes frogs! At first I wasn't sure if my mind was playing tricks on me! On the steep parts of the climb my back wheel was slipping all over the place when all I wanted to do was get out the saddle to rest my knackered quads. The last few laps were completely torturous. My legs were shot, I was cold, wet, tired, and the battery warning on the light had started to flash red - not what I needed! To get through it I had to grit my teeth and soldiered on and tried to block out the pain and discomfort. I wasn't going to get this far to fall at the last hurdle even though my body was screaming in pain. Once I got to the top of the last lap I stepped off the bike, (almost fell off!!) and breathed a sigh of relief! I clipped back in and gingerly made my way back down for the last time, grabbed all my stuff and made my way home. I felt like I was in a complete daze on the journey home. The feelings of achievement, exhaustion, hunger and tiredness were all coming together once the adrenaline of completing the task started to wear off. The feeling of completing the Everesting is amazing, better than any ride, challenge or event I've done before or since. Respect to George Mallory being the first and Hells500 for kicking it off worldwide! I am so much excited after reading this blog. This blog is very much innovative and much helpful for any customwritingreview.com industry as well as for students. The good news is for students that writing does not have to be agonizing as well almost anybody can improve their sports writing skills with sports essay writing service as well little discipline and a willingness to learn. Good. I would like to appreciate the courage as well as effort that was made to complete the laps. Being a dissertation writing service expert, I am sure that there would be more things to enhance the main ideas like this. This information will make your process run more easily as well as an answer needs to be received very quickly. As QuickBooks is not only a little organization equipment of organization technique but it also provides an educational atmosphere for anyone. So in between, organization and marketing strategies, online techniques also emphasize their concern in creating it easier and approachable for anyone as well. They do a lot of great stuff and take decisions creating it worth getting great for anyone.